The myth that neon signs are limited to bars and open signs is gone. Neon Signs have smartly made their existence known by glowing strong in fashionable home decor and favorite hangout places. With their vivid pinks, yellows and blues, neon signs are becoming the newest and one of the most in-demand trends in interior design. Neon Furniture: Interior designers are going crazy over it. Modern furniture turned into bright glowing orbs have changed the dynamics of the furniture industry. Believe it or not, there are several designers who are incorporating neon into old world furniture. You might be thinking tacky designers are trying to "pimp their ride", but it has a much more practical application. It provides illumination without the need for lamps or overhead lights and, it highlights the details and classic lines of the traditional furniture. It is art that is functional. This concept can easily be DIY-ed using your own furniture and turning it into modern artwork. Neon Signs as wall décor: Bold designing on a whole new level, interior designers are creating instant booms of color in some of the most fashionably decorated homes around. It’s a night light element that might make moist traditional interior designers cringe, but is a lot of fun. Used in living rooms, dining rooms, bedrooms, and kids’ playrooms to add a touch of whimsy with simple catch phrases like “joy”, or "love", famous quotes or names. And the best part? These wordy neon lights can be customized to your own specifications. Probably the most well known room that has incorporated this trend is reality star, Kourtney Kardashian’s master bedroom. Her hot pink neon LOVE ME sign by artist Curtis Kulig stands out and really makes a statement against the black, white decor. Neon signs as Gifts: Customized neon signs for your loved ones are an ideal and modern way to show that you care. Be it birthdays, anniversaries or other special occasions, what man wouldn't want a neon sign for his man cave? These cool neon signs add a warm and festive feeling to an otherwise dark cave! But don't limit it to just the men. 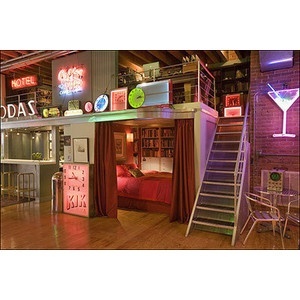 Neon night lights for kids rooms are all the rage. Check it out! Perfect kids room decor could be any of the retro style wall clocks, decorative sculptures, and neon signs that will add a spunky vibe for the wee modernist. Fire House Neon has hundreds of neon signs to choose from. Match any decor, hobby or interest! 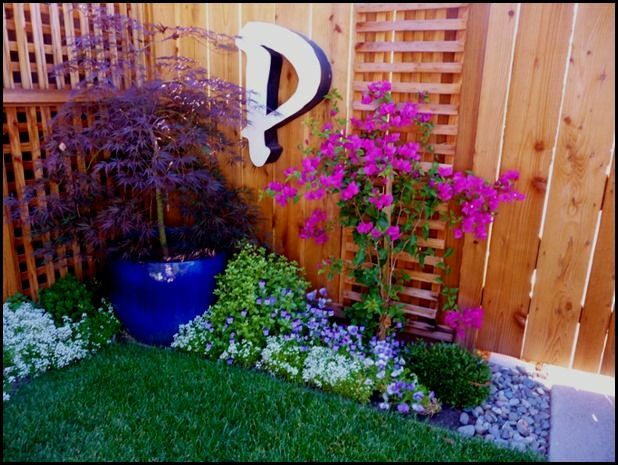 Neon lightening for your backyards: Neon lights in backyards has become a much widely acceptable and an upscale way to dress up the patio. Art and lighting combines in one durable show piece. Many people have started considering them as a creative alternative to traditional lighing. Neon signs for home addresses: How many times has it been that the GPS in our car has led us to the wrong location? We all have been through that time where we drove for hours searching for a place or specific location. 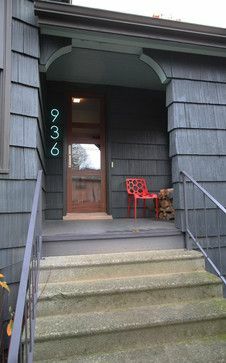 Imagine a glowing outdoor neon sign instead of old boring house number. Neon signs for home addresses should be encouraged. Such a smart idea to light up your house numbers in neon for safety and as well as aesthetics. People have already started doing it. With glowing numbers, evening visitors will have no trouble finding their way to your door. There are hundreds of other ways neon signs and clocks can be added to home decors bringing a modern and stylish look to brighten up any dull location. Make sure to light up your world using neon signs as they are the hippest and trendiest way to redesign your interior.